We love that people search for information about this on a regular basis, and yet it’s not surprising. Shave ice is Hawaii. A childlike smile graces the faces of all who behold this rainbow-toned delicacy. It makes sense that you would want one final taste before you head to Honolulu airport, or conversely, want to make it your first “meal” upon arrival. Whichever direction you’re headed in, there are some great options near HNL that will satisfy your craving, and as a self-professed expert on this fun topic, we have laid them out for you below. Shimazu Store is home to the the biggest serving of shave ice on the island, and perhaps the world. Known as “The Larry“, the head-size shave ice which comes dripping with the works is affectionately named for one of their customers who always asked for more. Of course, you don’t half to order The Larry, but be warned, there is no such thing as a small serving of shave ice at this iconic store. The sizes are no gimmick mind you, as Shimazu also makes the best shave ice on Oahu. The ice is velvety, creamy, and the syrup selection is second to none on the island. The unassuming shop is about 5-miles from HNL, which equates a 15-minute drive depending on traffic. The good news, is that if you’re staying in Waikiki, you can also visit their location within the Hawaii’s Favorite Kitchens shop beside another popular eatery, Rainbow Drive-In, at 3111 Castle Street off of Kapahulu Avenue which is found just up the road from Honolulu Zoo. 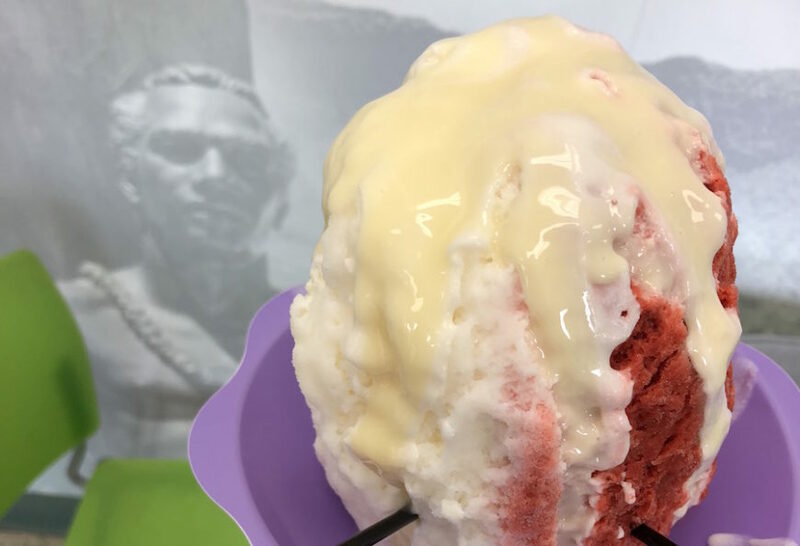 The Island Vintage (of coffee shop fame) shave ice stand may be over 8-miles away from HNL but it’s worth it, as it’s the most gourmet variety of shave ice found on the island, adding all-natural ingredients and fresh fruit to their blends. Their extras (i.e. mochi, coconut flakes, pineapples chunks, boba, etc.) make it a big draw for all who venture onto Waikiki’s Kalakaua Avenue. Of course, if you’re traveling to or from Waikiki to HNL then this stop makes perfect sense. Waiola is one of the most famous shave ice brands on the island outside of Haleiwa Town on the North Shore. While they have had locations come and go (including Ward Center), the original spot is the closest one to Honolulu International Airport at around 7-miles. The mom-and-pop grocery store at 2135 Waiola Street has been luring people in since 1940, although they (under new ownership) didn’t start slinging shave ice (as we know it) until the late 70’s. This mainstay remains to be a destination point for both locals and visitors in search of great shave ice, thanks to aloha-spirited service and the fact that all of their syrups are homemade, using pure sugar cane sugar to provide an unmistakable flavor. Waiola is also well know for their azuki bean, custard pudding, and mochi ball extras. Like with Shimizu, Waiola has a second store near Waikiki, just off of Kapahulu at 3113 Mokihana Street. Whether you’re headed to/from HNL or are on an extended layover, Honolulu Airport Transfer can get you to any of the top shave ice destinations listed above (and more). Just give us 24-hours notice and we’ll make it happen! 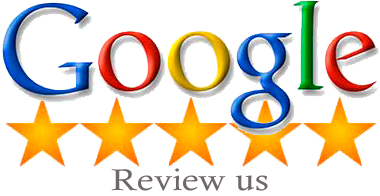 View all flat rates, and call us at 1.800.929.1219 or complete the form found here.